The Art of Ylenia Mino is donating a painting to support the Italian school "La Scuola d'Italia" and the Italian culture in New York. 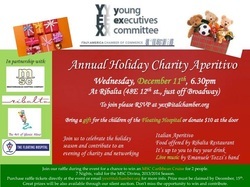 The Art of Ylenia Mino has supported the Annual Holiday Charity Aperitivo by the Italy-America Chamber of Commerce to support a the floating hospital. She donated her painting Deep Inside a Dream. 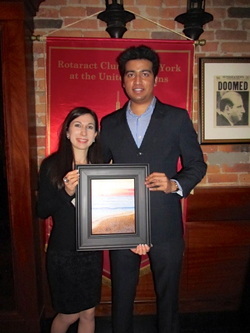 UN Day Rotary Party Fundraising, November 2013. 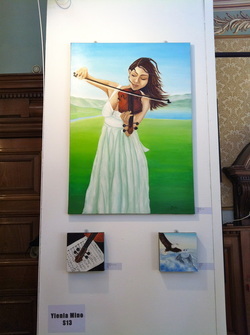 The Art of Ylenia Mino donated the painting Heart Hope to help a child to have heart surgery (nonprofit the Gift of Life). 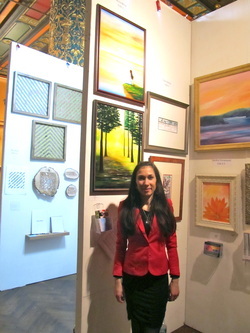 At Parallax Art Fair in Soho, New York. Newspaper article on Ylenia Mino's Art, written by i-Italy magazine. May 11th, the Chuck Jones Center for Creativity hosted its 2nd Annual Red Dot Auction at its new facility in Costa Mesa at South Coast Collections. 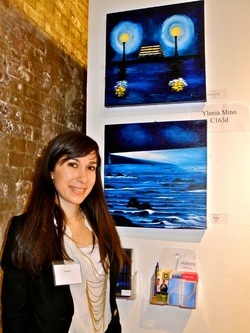 Ylenia Mino participated in 2012 Red Dot Auction and the artwork she created for this event was successful sold helping fund the programs of the Chuck Jones Center for Creativity. "Jerusalem is the title of my new painting... it's a dream of peace and holiness... this artwork comes from my desire to bless Israel and its people with all my heart." 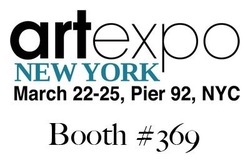 "This Year Artexpo NY was a great experience for my artistic career. I had the opportunity to get new connections and to learn a lot of new things. It was amazing sharing my art with so many people from all the world!! Our booth Gioiosa Passione was an explosion of colors and joyful! We were a very good team and I'm proud of having had this wonderful experience!" Last February Art and Fashion together in New York! Great professional experience in London! 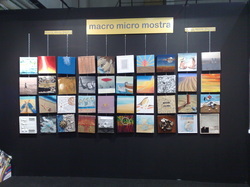 "I’m very happy to have participated at the International Art Expo in New York. It was my first time exhibiting and I am thankful to have had this opportunity. This event has changed my life as an artist. My vision has expanded and I have learned so many new things. It was nice to have an impact on people and bless them with my art. I also now understand that selling paintings is not the most important thing, of course the money is helpful for living expenses but when somebody buys artwork from me it is an amazing feeling. 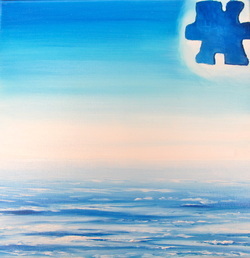 I have also learned that it is more important to grow, establish contacts with art industry professionals and show them the passion within my paintings. I can’t wait to repeat this experience, it was so uplifting!"